There were 689 press releases posted in the last 24 hours and 154,067 in the last 365 days. PARKVILLE, MARYLAND, UNITED STATES, November 29, 2018 /EINPresswire.com/ -- There are numerous types of therapy practices each with their own distinct modalities. Integrative psychotherapy is all about finding the right tool to fit an individual’s needs. Anita Bains is an integrative psychotherapist. She’s spent her career looking for the most effective modalities for individuals looking to restore balance to their emotional lives. In addition to traditional cognitive behavioral talk therapy, Anita also includes a number of innovative techniques and strategies that help people to identify and remove their hidden emotional and thinking blocks that keep them stuck. Anita came to psychotherapy through a master’s program in nursing where she specialized in psychiatric nursing. Our beliefs, thoughts, and emotions hold an amazing and transformative power all their own. All we have to do is tap into and harness that power to heal ourselves and fulfill our desires. 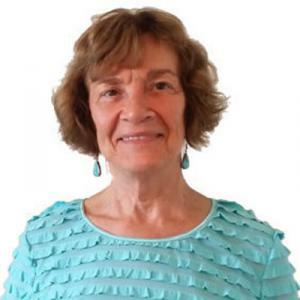 Anita offers an effective, client-centered, integrative and comprehensive approach that combines EFT and other energy psychology techniques with Western therapeutic modalities that include cognitive behavioral, and psychodynamic paradigms. She also teaches mindfulness-based techniques to help promote relaxation, balance energy and restore health. Recently, Anita became a certified transformational life coach with the Life Mastery Institute in the DreamBuilder process. CUTV News Radio will feature Anita Bains in an interview with Jim Masters on December 3rd at 2pm EST.